ICANN, the Internet Corporation for Assigned Names and Numbers, is a non-profit corporation (see above) incorporated in the State of California, USA, in 1998. As a California corporation, it is subject to laws of the State of California, e.g., CA Codes (corp:5250): "5250. A corporation is subject at all times to examination by the Attorney General [of the State of California], on behalf of the state, to ascertain the condition of its affairs and to what extent, if at all, it fails to comply with trusts which it has assumed or has departed from the purposes for which it is formed. In case of any such failure or departure the Attorney General may institute, in the name of the state, the proceeding necessary to correct the noncompliance or departure." See also: California Unfair Competition Law (Wikipedia) and Private Attorney General Doctrine (pdf) and Private attorney general (Wikipedia). ICANN is also a tax exempt organization pursuant to the (U.S.) Internal Revenue Code section 501(c)(3): Exemption Requirements - Internal Revenue Code 501(c)(3) Organizations: "To be tax-exempt under section 501(c)(3) of the Internal Revenue Code, an organization must be organized and operated exclusively for exempt purposes set forth in section 501(c)(3), and none of its earnings may inure to any private shareholder or individual. In addition, it may not be an action organization, i.e., it may not attempt to influence legislation as a substantial part of its activities and it may not participate in any campaign activity for or against political candidates. Organizations described in section 501(c)(3) are commonly referred to as charitable organizations. Organizations described in section 501(c)(3), other than testing for public safety organizations, are eligible to receive tax-deductible contributions in accordance with Code section 170. The organization must not be organized or operated for the benefit of private interests, and no part of a section 501(c)(3) organization's net earnings may inure to the benefit of any private shareholder or individual. If the organization engages in an excess benefit transaction with a person having substantial influence over the organization, an excise tax may be imposed on the person and any organization managers agreeing to the transaction. Section 501(c)(3) organizations are restricted in how much political and legislative (lobbying) activities they may conduct...." For further information: Tell the IRS about Suspected Tax Exempt Status Abuses (pdf) and How Do You Report Suspected Tax Fraud Activity? Foreign Corrupt Practices Act (FCPA) (15 U.S.C. § 78dd-1, et seq. ), penalties of which include prison terms of up to 5 years. Anyone (inside or outside of ICANN), with knowledge of possible violations (past, present, or future) of the Foreign Corrupt Practices Act, should contact the U.S. Department of Justice directly: Report a FCPA Violation via email to FCPA.Fraud@usdoj.gov or via fax 202-514-7021. Federal Bureau of Investigation (FBI): "The FBI has offices around the world and can be contacted around the clock, every day of the year. See When to Contact the FBI for details ...."
California Corporations Code 5233: ".... (c) The [California] Attorney General or, if the Attorney General is joined as an indispensable party, any of the following may bring an action in the superior court of the proper county for the remedies specified in subdivision (h): (1) Thecorporation, or a member asserting the right in the name of the corporation pursuant to Section 5710. (2) A director of the corporation. (3) An officer of the corporation. (4) Any person granted relator status by the Attorney General ..."
Relator status: California Code of Regulations, Title 11, Sections 1-11: "SECTION 1 Any person desiring "leave to sue" in the name of the people of the State of California under any law requiring the prior permission therefor of the Attorney General (which person is herein referred to as the relator), shall serve his application (which shall include the papers referred to in Section 2) upon the proposed defendant and within five days after such service shall file the same with the Attorney General ...."
IANA — Framework Documents: Key documents relating to the oversight framework for the performance of the IANA functions. 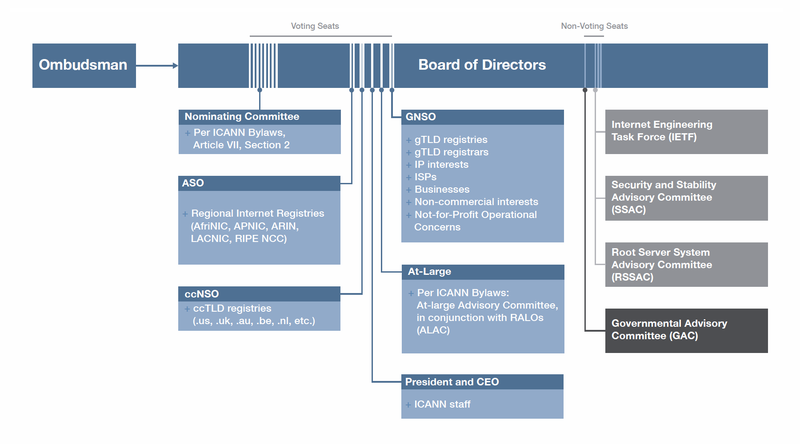 Note: there is an active discussion concerning the future evolution of the oversight of the IANA functions, information on that process is available at http://icann.org/stewardship. Since 2000, the performance of the IANA functions has been governed by a contract between ICANN and the US Government's National Telecommunications and Information Administration. The current contract (SA1301-12-CN-0035) has been in effect since 2012. Since 2000, protocol parameter registry assignments have been governed by a memorandum of understanding between ICANN and the Internet Engineering Task Force. This MOU is updated on an annual basis through supplemental agreements. 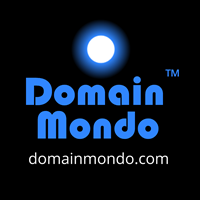 IDN Glossary https://www.icann.org/resources/pages/glossary-2014-02-04-en Definitions of key terms and acronyms commonly used in internationalizing the domain name space. IANA manages the DNS Root, the .int and .arpa domains, and an IDN practices resource. Internet protocols’ numbering systems are managed by IANA in conjunction with standards bodies. InterNIC - InterNIC is a registered service mark of the U.S. Department of Commerce. It is licensed to the Internet Corporation for Assigned Names and Numbers, which operates the web site. ICANN and Root Server Operators:The Internet's Root Server System consists of twelve organizations that operate the world's thirteen DNS root name servers. Over the years, root server operators have affirmed their role in cooperation with ICANN.